Email me for information regarding a paperback book or a complete CD book. 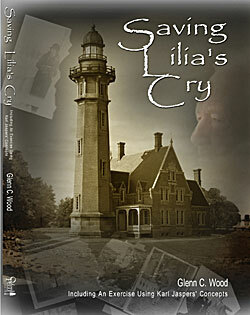 Saving Lilia's Cry is a true story written by Glenn C. Wood, from his perspective of the events from his parents loss of their first and second born. 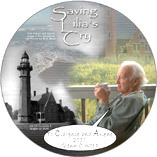 Set in the early 1930's on a farm in Michigan, it is a captivating story showing the lasting effects on emotional states Lilia had in her brief life. The book now has a 32 page "Concept Index" that can serve as an aid to students interested in the works of Karl Jaspers. *Chapter 14’s loose use of “hallucination” is actually the interaction of the distinctions made between that word, plus “illusion” and “delusion”––as defined by Jaspers in GP, p. 64, (d) and p.95, (a), 1963, Hoenig-Hamilton translators, U of Chicago Press). All meanings are involved in a fluctuating, overlapping, and superimposing constellational way in the wagon-wheel situation. 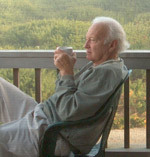 For instance, the illusion perhaps was a combination of fever-caused dizziness (vertigo), the swirl transposed to the multi-sash window; the hallucination springing into the matter as the wagon wheel rolled in space and involved timing to avoid it, etc.––and all this included that circumstantial taste. The delusion could include the dis-ease of the flue and concomitant conviction that it was real based on my early independent emotional experience and prospective worldview-like interpretation (involving that early experience when my father mercy-killed the dog crushed by the wagon wheel). Moreover though, lasting psychopathic results were prevented by mother’s presence and timely reassurance and including the application of the cold washcloth. Ref. page 211.